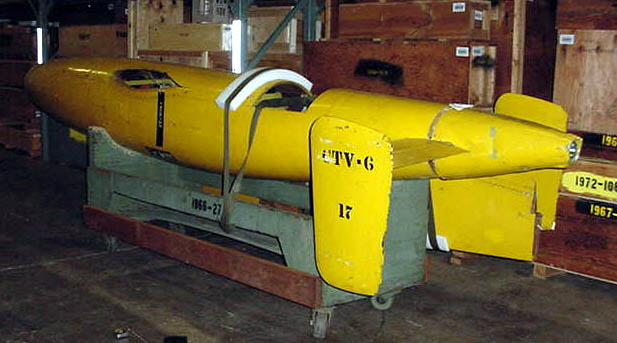 Shown here is the Gorgon 3A, one of a series of World War II-era air-to-air missiles developed by the U.S. Navy. It never became operational, but the Gorgon 3A served as a productive test vehicle that provided much information about the design, handling, and performance of guided missile technology. Reaction Motors, Inc., a division of the Thiokol Chemical Corporation, built the engine, which burned for 130 seconds and produced 350 pounds of thrust. The propellant consisted of monoethyl-aniline and a mixture of sulfuric and nitric acid. The range of the Gorgon 3A was 12 miles at a maximum speed of 525 miles per hour. 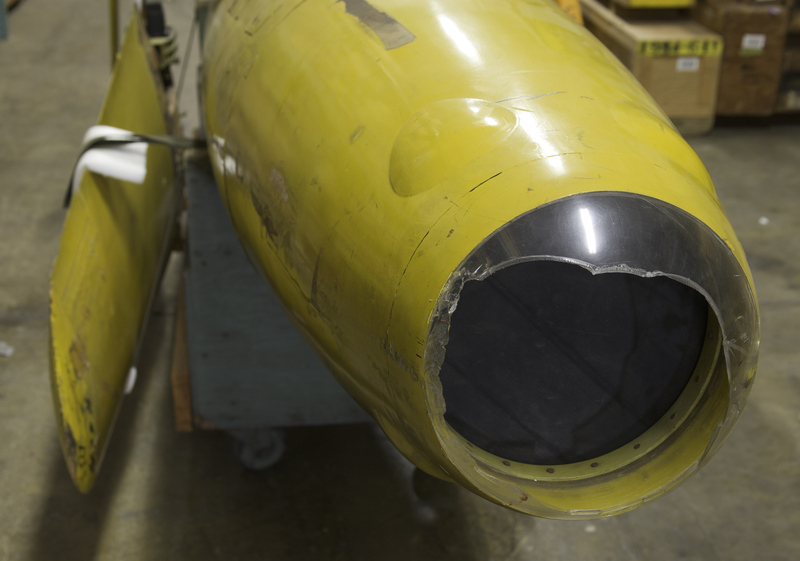 It carried a 257-pound fragmentation bomb, a television guidance system, and a homing device. 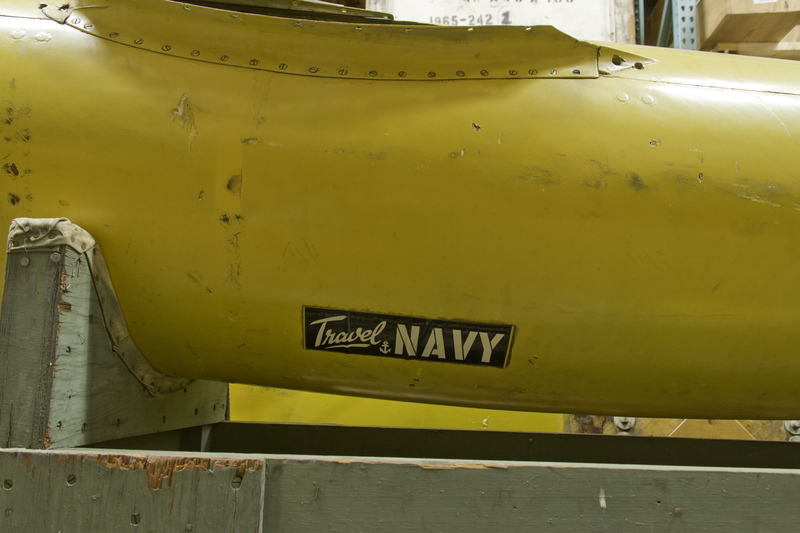 The U.S. Navy transferred this missile to the Museum in 1966. 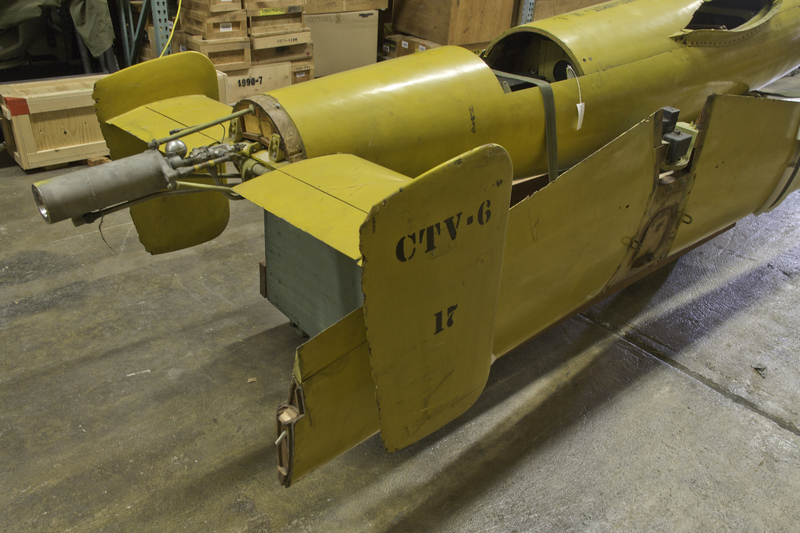 Fuselage and wings entirely of wood, excluding steel screws and hinges for panels, internal pipe bracings for wings and fuselage interior; motor, non-ferrous metal, nozzle possibly of aluminum; interior also with wire bundles, with white plastic insulation.